We started off February with our Setsubun celebration! 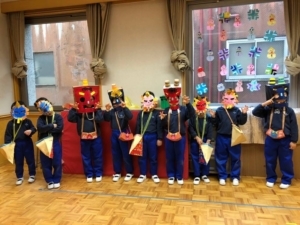 The Oni were quite scary but our kids bravely fought off the bad spirits and restored peace to the kindergarten. We’re all so proud of them.